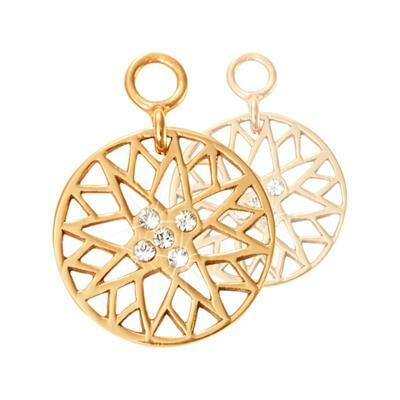 We love the coin earrings from the fabulous Nikki Lissoni collection. Choose your studs which simply slip through the coins making a beautiful pair of earrings to match your necklace collection, in Gold, Silver and Rose Gold. The Sky Full of Stars design is gold plated with an eye-catching star design embellished with sparkling cubic zirconia stones.